What has been your favorite thing you have learned here at Cappella? : Everything! And the songs. What are your top 3 favorite songs and who are they by? : All of them! Top 3: Trust in Me by The Jungle Book, Better Together, and Silent Night. What are some of your hobbies other than music? : Reading American Girl books, art and drawing, cooking, show and tell videos, and learning all about rabbits. Voice: Mileen Y., Chameika B., Craig R., Jaelin P., Becca J., Payton T., Vlady S., Annabel F., Emmy C., Marian O., Naira S., Chris W., Sophia A.
APPRENTICE: Audrianna R., Jude K., Jeffrey T., Bianca M., Chayla W., Josie M., Max H., Colin P., Serenade A., Lucia L., Andrea G., Lucy F., Edisa U., Brody S., Bryce B., Maggie S., Hannah D., Kailey W., Ty C., Emily J., James H., Jason O. SONG BIRD: Ava K., Nathan M., Ava S., Chris P., Marco M., Brayden S., Izabella S., Courtland B.
MUSICIAN: Jacob N., Jacob K., Joshua C., Cannon M., Mya J., Micaiah B., Marianna S., Atticus C., Bennett B., Kaden N., Phoebe N., Samuel S.
ROCK STAR: Alex A., Jovin L., Peter W., Charlie J., Josie A., Coen L., Gracie H., Ethan M., Skylar K., Isaac P., Jonah T.
ALLEGRO: Marianne C., Terry S., Mason P., Wade I., Frankie T., Glen B., Patricia B., Madilynn B., Ruth S., Anneca P., Jacob T.
VIVACE: Avalyn L., Joshua M., Jacob B., Mychal H., Aurora S., Jace L., Gavin S., Jasmine B., Cydney A., Savannah F., Raina M.
PRODIGY: Valeria B., Brevik F., Londan F., Gianna O., Aliyah B., Angelie B., Taylor A., Jonas B., Ryley J., Isaac B., Jayna B., Michael P., Vlad B., Jaden J., Adalyn B., Sophie C., Caleb B., Adrienne S., Colbey C.
Sahin S., Jeremy Y., Emerie B., Emma Q., Stella C., Sailor S., Landon S., Amanda L., Kalon R., Lucia R., Logan R., ES., Brody S., Parker G., Atticus C., Isaac M., Audrianna R., Kieran M., Kinsey C., Kya H., Emily P., Patricia B., Marianna S., Edrien H., Niklas I., Kate B., Keva T., Mileena Y. What are some of your other hobbies other than music? I like to play football, basketball, video games, watching tv, reading, science, math, listening to music, and of course guitar! We are excited to announce that our second academy location is open! Across from Tacoma Community College, our instructors and staff are excited to welcome you in! Lyndsey, our front desk admin, will be the first friendly face you see. She will give you a warm welcome, help you find your instructor, and answer any questions you may have about Cappella Music Academy. Some of our instructors you may recognize from our Bonney Lake location, but some we welcomed onto the team specifically for Tacoma! Kelly Marsh grew up in Puyallup Washington where she began to play the violin at the age of 3. She has 9 plus years of private teaching experience after beginning her own violin studio at 14. Many of her students have found success through AllState and various Honors Orchestras. Throughout her high school career she was chosen to play for All State, All Northwest, Scrooge the Musical at the Champion Center, and many other local groups. After graduating from Rogers High School, she was selected to be a part of the All National Orchestra in Washington DC at the Kennedy Center for Performing Arts. 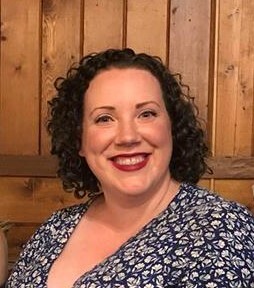 She studied Violin Performance and Music Education at Central Washington University and Seattle University during which she was a camp counselor for the well know Kairos Music Festival. Drawing from the Suzuki and traditional methods, she caters her unique teaching style to all ages. Guitar: Stella C., Dasha B., Rylan G., Ryan M., Joseph M., Sienna S., Caden W., Aieran M., Finley B., Clara H.
Piano: Cassie B., Bryce P., Jasmine T., Kaeden V., Taylor B., Matilda R., Ramona R., Brady S., Sawyer S., Jett H., Cody Q., Carson P., Araya S., Kate W., Peter G., Ana P., Ben A., Jessica M., William A., Brooke A., Rigoberto V., Liam B., Aileen T., Zoey E., Lucas S.
Violin: Karolina E., Kaeley W., Lilly S., Sailor S., Eugene B. Drums: Carson M., Marlana M., Joe M., Cooper T.
Bass: Christopher C., Kai A., Orray S.
APPRENTICE: Elaena K., Jolie M., Khloe M., Alezandra W., Albert W., William W., Jayden B., Ian K., Madison E., Juliya V., Hana S., Kate B., Malaya S., Kian A., Sophia J., Nara S., Evelyn P., MaryAnne G., Cadence D., Lillian C., Colton A., Trevor A., Ava H., Rad H., Jackson G., Tanner G., Micah M., Owen M., Devin H., Zoe F., Taraneh A., Chloe B., Antonio A., Meredith G., Carson A., Samuel G., Dre S., Natalie K., Brody B., Landon S., Caity A., Andrey V., Ava C., Preslie W., Lily B., Deborah W., Grace M., Bryson H., Sophia B. SONG BIRD: Eli T., Valencia K., Luie K., Nathan S., Ronin B., Miles H., Carter H., Allison E., Zoe T., Sidra W., Willow M., Aria S., Maisie L., Molly H., Julien K., Seth Y., Gemma K.
MUSICIAN: Tyler B., Devon O., Isabelle W., Nova S., Parker G., Isabelle C., Braeden L., Quincy A., Katelyn S., Madison C., Zachary J., Jaecey G., Madison P., Christopher S., Reilleigh S.
ROCK STAR: Lucia R., Gabriel S., Karlon R.
ALLEGRO: Evelyn S., Eric G., Skylar L., Levi G., Aaron G., Grayson O., Jacob B., Kate B.
VIVACE: Grace A., Audrey O., Max O., Liam K., Alenna S., Ryan C., Connor W., Adam S.
Colton A., Micaiah B., Skylar L., Cheyenne W., Carson M., Jan R., Matthew B., Madison M., Katelyn S., Colin P., Adam B., LIly B., Elijah D., Trinity R., Tyler B., Evlyn M., Corey Z., Avalyn L., Kailani P., Londan F., Antonio A., Daniela D., Colbey C., Sierra T., Isaac B., Chloie B., Aaron G., Christopher C., Grace M., Ava H., Sherri O., Ruth S., Audrey O., Anna J., Evelyn P., Blake W.
Congratulations to all of the students that performed in this year’s Winter Recital! We had over 230 students perform over the course of 9 recitals! Everyone put so much time and effort into their pieces and the work paid off. Everyone sounds great! Now it’s time to start planning for our Spring Recitals! APPRENTICE: Derik J., Dylan S., Aubrey S., Reagan D., Miles D., Marielle R., Alexis L., Jacksen K., Ash S., Madison W., Owen M., Rylee J., Charlotte K., Mark V., Madison K.
SONG BIRD: Kenna M., Vitaliy P., Eva D., Easton W., Melinda L., Marely A., Brayden B., Henry S., Melissa L., Joey D., Jaya E., Jade J.
MUSICIAN: Camille B., Jacob H., Shaelynn S., Arya A., Afsheen A., Lucille B., Mason R., Jack S., Whitney F., Chloie B., Cody J., Trae B., Aleksandra S., Teagan B., Chase J., Daniela D., Olivia R., Veer P.
ROCK STAR: Dylan M., Elijah S., Lunden W., Cooper J., Keanon D., Talin W., Keva T., Landon S., Trinity S., Wyatt B., Ella M., Kristina Q., Kayla H., Sophia W., Lindsey M.
ALLEGRO: Lilia L., Emma Q., Jackson B., Alexia S., Ethan O., Jack L., Kallie B.
VIVACE: Kaeden W., Logan R., Jacob J., Isaac S.
PRODIGY: Chloe M., Trevin E., Alex E., Shaheen A., Lucy B., Saatchi E., Chase M.
Mezzo-soprano Kristy Ann Fox, a native of Washington State, began her musical studies at the age of 9 on the piano before moving to the flute and voice in middle school. Ms. Fox received her Master of Music degree in vocal performance from Manhattan School of Music. While attending school, she performed the role of Mercury in John Eccles’ The Judgment of Paris under conductor Kenneth Cooper. Before moving to New York City to pursue her operatic career, Ms. Fox made her professional debut in Spokane, WA with the Spokane Symphony and remained an active performer in the Inland Northwest; appearing with the Spokane Symphony orchestra and Spokane Opera. Since 2009, Ms. Fox has maintained a voice and piano studio of all ages in Olympia, Spokane, and New York City. Dan has been a dedicated and hard-working musician almost his entire life. He started by playing the piano at age 6 and graduated to the guitar at age 12, upon hearing the likes of Ted Nugent and KISS back in the ‘70’s. He started out on an old hand-me-down from a great aunt. That was good enough, and he has not looked back since! He brings a ton of high-energy and emotion to the stage through his playing. Dan is a world-class guitar instructor and enjoys sharing his appreciation for music with others. Cappella Music Academy is excited to have Dan Benz on its elite teaching faculty! 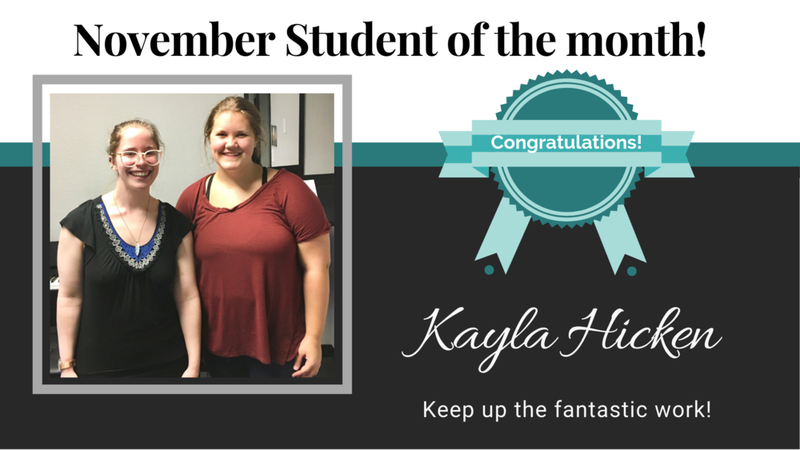 Kayla is a hardworking sophomore in high school who is a pleasure to have in lessons. We have been working on extending breath control, developing consistent vowel shapes, singing with dynamics, and an understanding of differing timbres and vocal registers. Last year she auditioned for her school's select choir and was accepted. Since then, she has continually put herself out there with auditioning for solos and performing in Cappella and school recitals. For this coming winter recital, she will be singing "Mary, Did you Know?". She has an incredible understanding of musicianship and always is extremely respectful and studious. Keep it up, Kayla! What has been your favorite thing you have learned here at Cappella? How important the little things are. Tawnya has been teaching at Cappella Music Academy for about 5 months, but has had a passion for music all her life. Growing up in a musical family, she has always loved singing and has heart for helping others find their own voice. When she isn’t teaching, she is singing as 1st Soprano Section Leader in Sonoro Women's Choir. There are two concerts coming up on December 1st, 7pm at First Presbyterian Church in Tacoma, and December 2nd, 3pm at Steilacoom Community Church. Tickets are available at brownpapertickets.com. 88% BOOKED - only 3 spots left! 84% BOOKED - only 2 spots left! 94% BOOKED - only 4 spots left! APPRENTICE: Ava K., Nathan M., Ava S., Brayden S., Marco M., Izabella S., Courtland B.
SONGBIRD: Samuel S., Atticus C., Mathew C., Marianna S., Mya J., Parker G., Joshua C., Jacob K., Jacob N.
MUSICIAN: Alex A., Mason P., Peter W., Kalista W., Josie A., Charlie J., Gracie H., Ethan M., Skylar K.
ROCK STAR: Ruth S., Anneca P., Jacob T., Glen B., Patricia B., Madilynn B., Frankie T., Adam B., Terry S., Mason P., Marianne C.
ALLEGRO: Joshua M., Mychal H., Aurora S., Jace L., Jasmine B., Cydney A., Savannah F., Gavin S., Avalyn L.
VIVACE: MacKenzie W., Abigail M., Moriah F., Ericka C.